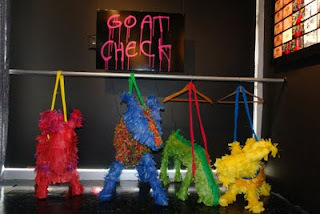 Guess what... Pinatas are now worthy of being in a real live profitable gallery!!!! I had the extreme pleasure in the month of October to be working with/for the ever so talented artists behind PERU ANA ANA PERU, street artist and videographer extraordinare. On October 17th they had a very successful opening for their first solo show, "and then we jumped into the abyss of numbers: memories in absurdity from the bowels of PERU ANA ANA PERU" at the Brooklynite Gallery where they fused their creativity in a multimedia glory... and asked me to help three dimensionalize some of their designs. Go check out the show in real life until November 14th, but for now... here's some of the fun and greatness that is their art. New York I love you, but your busting me up. Busting me up in all the most amazing ways possible!! Let me sum up the past year of my life as a New Yorker for you. I would like to equate it to ease of energy + swiftness + non-hesitation + opportunity = extreme glee. Much like the process of getting into the glory of a pinata, my life has been a process of swinging and missing for years... that is until I entered the zip codes of 11000whatevers. Once here, it was a like a small pinktailed girl surprisingly braking open the pinata of a life finally worth living. And suddenly I was scrambling around catching all the goodies that came out. Here is a little list of those goodies that fell out of my infant year in New York. 1. 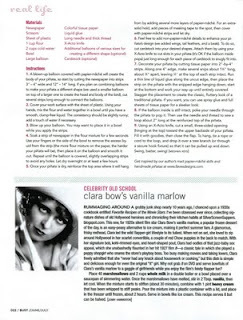 I accomplished the goal of being published by 30... and it paid!!!! 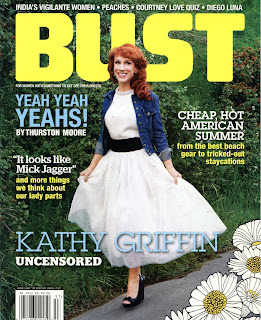 Thank you BUST Magazine, you ladies are wonderful. 2. I had my first successful street sale on the corner of Adelphi and Lafayette in Brooklyn, and let me tell you... this neighborhood never ceases to amaze me. 3. 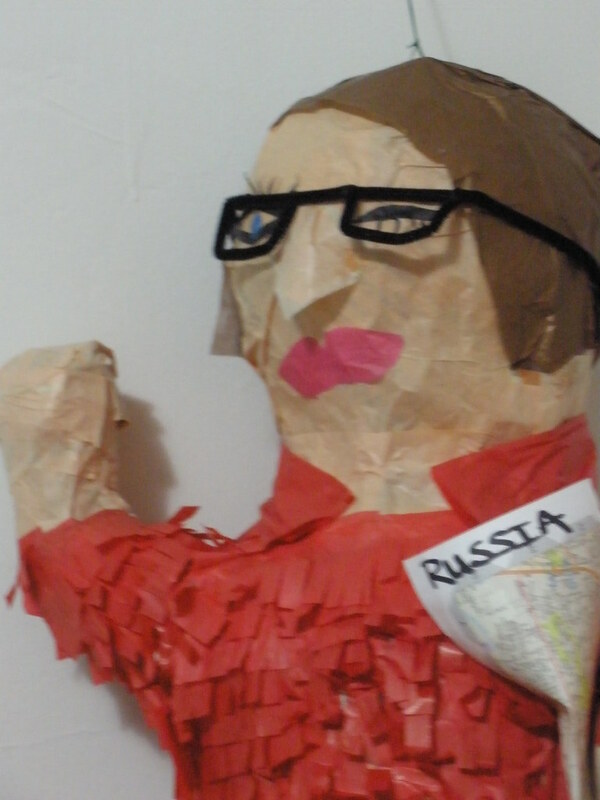 Sarah Palin Pinata got me free drinks on election night and beyond. 4. 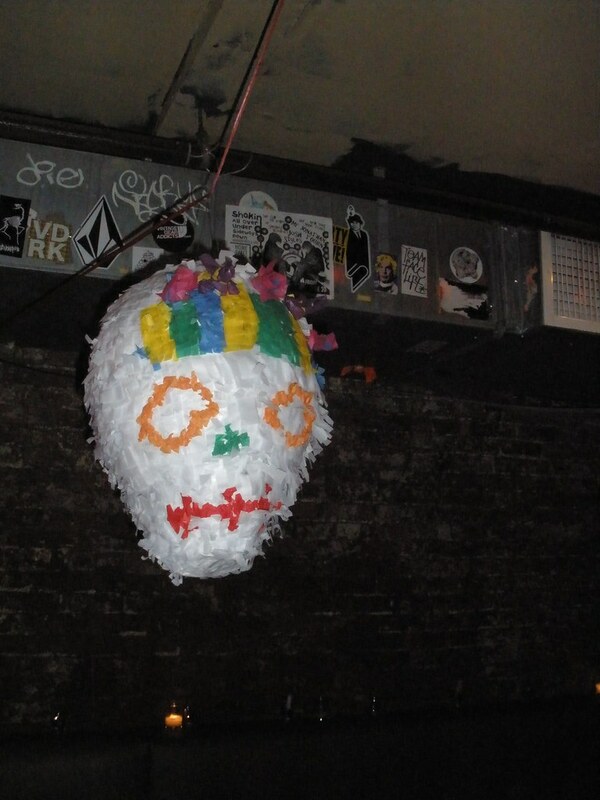 I met Chloe Sevigny and she liked my sugar skull pinata. 5. 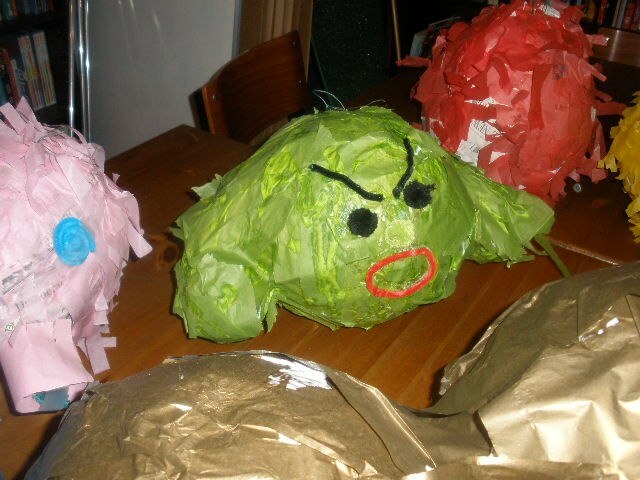 I was told by three Hispanic men on different occasions that it was strange I was white and made pinatas. 6. 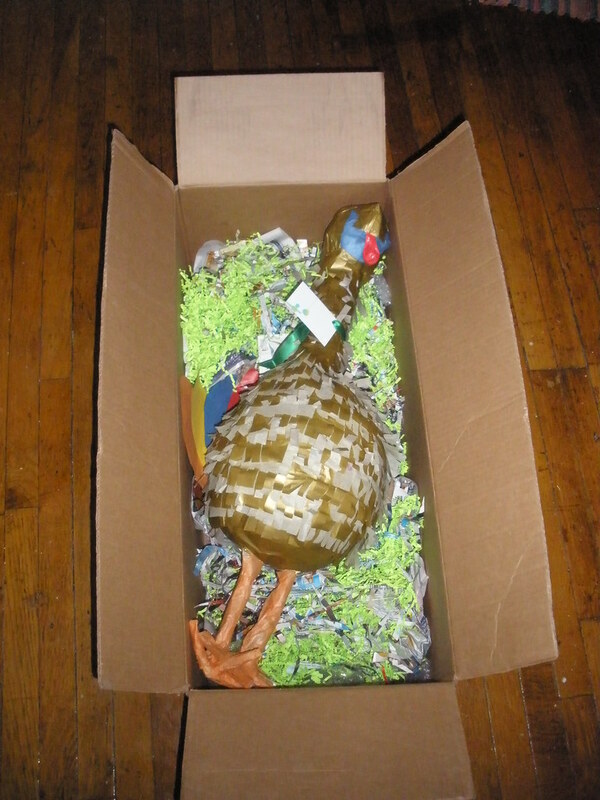 I learned that holiday pinata's are really the best way to go for presents any time of the year. 7. I learned that sometimes the post office workers will make you laugh so hard you want to pee your pants as you are shipping a box that is 36 x 20 x 12 and weighs 4 pounds. 8. 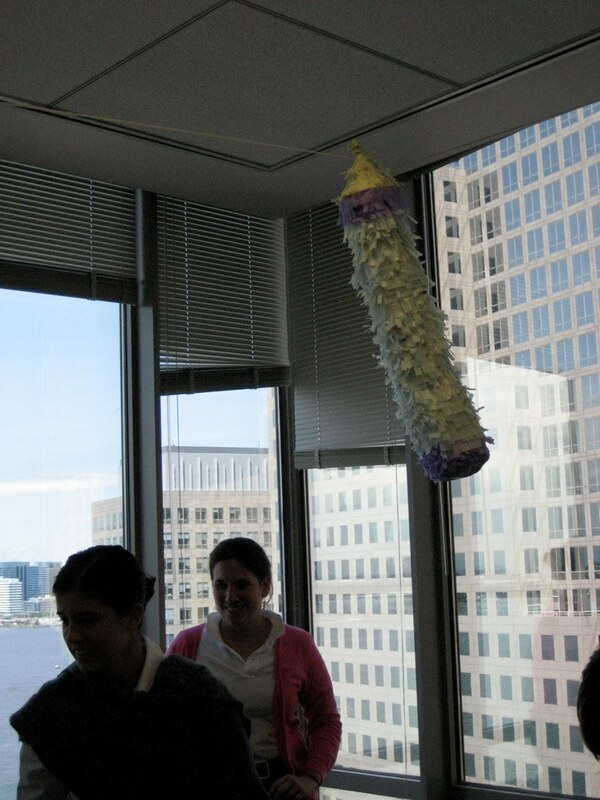 I got an office full of corporate co-workers to break open a pinata with a piece of desk trim. 9. 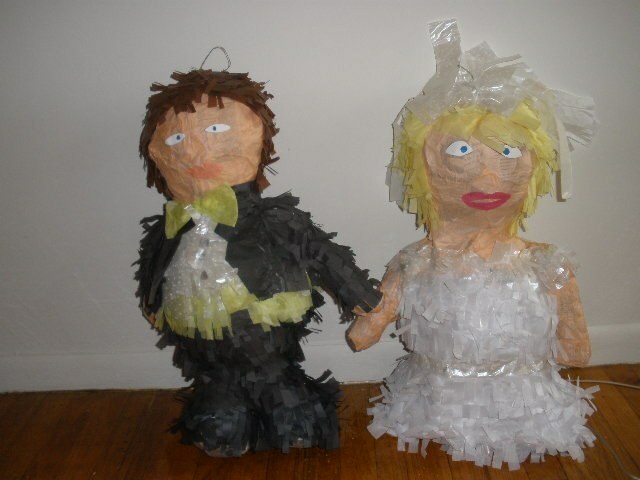 I advanced a line of wedding and baby shower pinatas. 10. All I can say is the best is truly yet to come!!!! Stay tuned as I think things are just heating up!!! 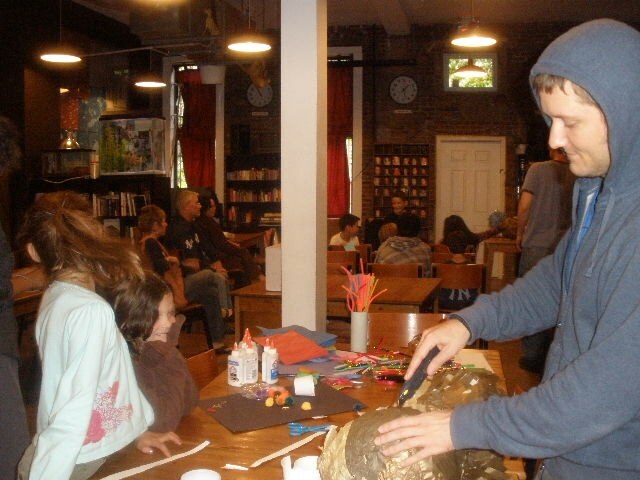 Teaching the children... paper mache style! Holy hell! September was one crazy month. I not only moved to a new apartment, but I also got a new job and taught my first workshop at my ever so favorite place, 826NYC. It sure was one hell of a month! So with that said, lets get to the details on the first workshop at 826NYC. I spent my first year in New York being buried under a rock called work and emerged triumphant in the back of the Brooklyn Super Hero Supply Company teaching seven of the coolest Brooklyn kids ever the ins and outs of character development and writing. 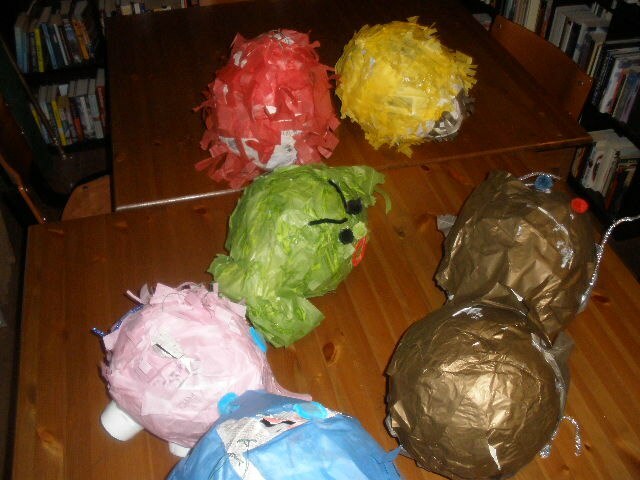 Our three day course lent to some hilarious characters and some killer pinata's! 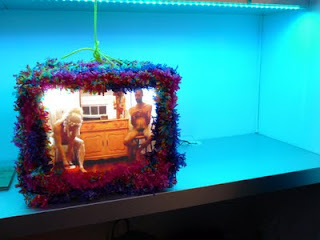 There were two pigs (of different colors of course), a bear, a Sugar Monster, a poetic piece about a jelly fish that somehow inspired a Sponge Bob pinata, a Slime Monster and an interesting montage of a flea and a crowd of people. We ended up with a pretty killer mess and a nice little chap book. TA Chad assisting with final touches on the characters. Let's talk Slime Monsters... so cool. The kids sure do have talent! They'll be giving me a run for my money soon.